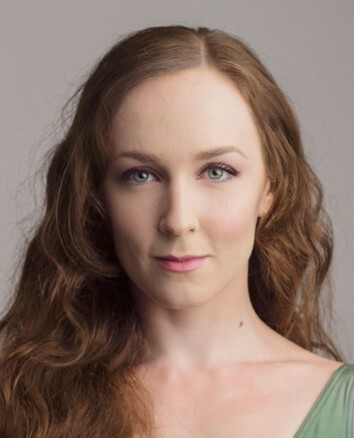 Join Verb Ballets on Friday, January 4, 2019 for Live @ Noon an exclusive working rehearsal with Margaret Mullin. Margaret Mullin, a renowned soloist with Pacific Northwest Ballet, received a prestigious fellowship from the Princess Grace Foundation. For the past three years, Verb Ballets has been working in partnership with Margaret Mullin and Nel Shelby Productions to create a documentary film No Dominion: The Ian Horvath Story. Ms. Mullin is the director and producer of the upcoming documentary and will be in studio setting Ian Horvath’s last work, No Dominion. Set to Sir William Walton’s cello concerto, the work for an all-male cast is a reflection on Horvath’s impending death from AIDS. No Dominion takes its title from the poem “And Death Shall Have No Dominion,” by Dylan Thomas. Her arrival in Cleveland is in preparation for Verb Ballets celebration of the life and work of Ian Horvath on February 9, 2019. This unique opportunity will provide insight into the story behind the work of and how the documentary came to be. Pack a lunch to enjoy during the rehearsal followed by dessert to be provided. Doors open at 11:45pm and viewing begins at noon. The studio is located at in the same building as The Dealership. Free parking available.